Commenter Fallingwater pointed out here that it's now rather hard to find CardTXT, the simple word processor that uses the whole width of an AlphaSmart Dana's screen. He recreated it and put it here; I've taken the liberty of mirroring it here. I use the built-in AlphaWord application instead of CardTXT, because if all you need is plain-text note-taking, AlphaWord does the job fine. You don't have to install antiquated syncing software on your computer, or fool around with memory cards and weird old-PDA text formats. Just plug the Dana in via USB, from which it can also charge its batteries if it's running from rechargeables. The computer will detect the Dana as a USB keyboard, and then you just poke a button on the Dana screen to get the Dana to "type" the contents of a document into any text-accepting program on the computer. Any computer that can accept a USB keyboard should work with a Dana in this mode. I thought I could help users of these strange hypertrophied Palm doodads with some more software, though, so I've zipped up the Dana files I have sitting around, too. Here (5Mb Zip archive) is a collection of third-party software, including the plain (I think) version of CardTXT, which is in the "wp" subdirectory. The original software package that came with the Dana is about 57Mb, here. It contains a lot of cruft, and I haven't tested all of these programs; if they don't work or they set your Dana on fire, don't complain to me. Oh, and the Getting Started Guide and User Guide PDFs are only a couple of megabytes, here. 1) it's slower than CardTXT while editing; Palm devices were never lightning performers for this, possibly because of the same graphics-rendering issues your old eMate has, but CardTXT seems to mitigate the problem better. 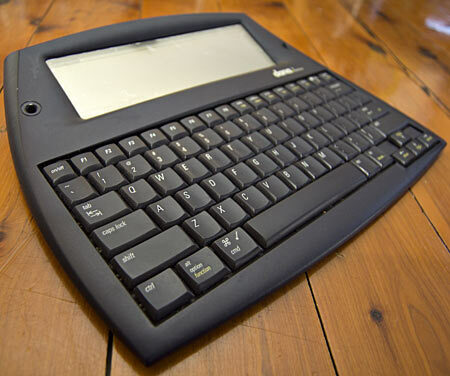 In fact I wish I'd known about it back when I was taking notes in class on my Palm IIIx and foldable keyboard. 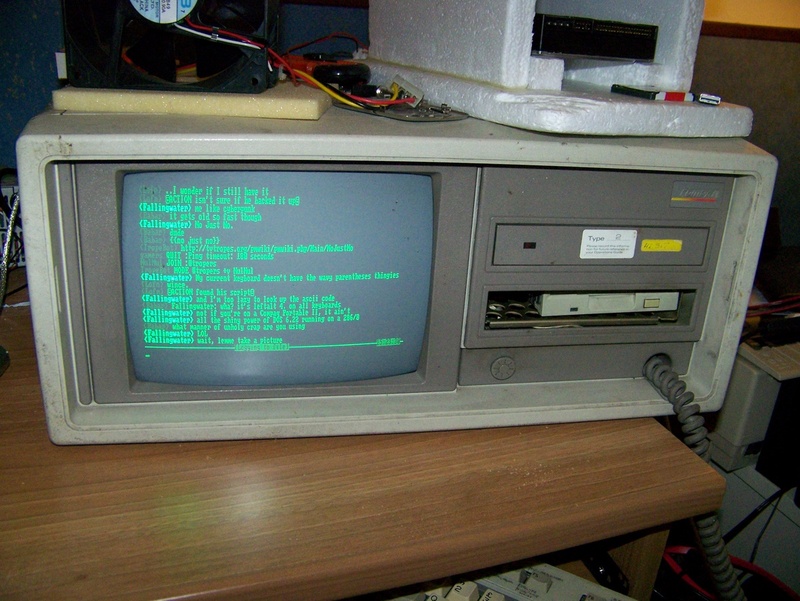 2) though it makes it very easy to load your documents to your computer, it requires faffing about with converters to get them back to the Dana for further on-the-go modification or continuation. CardTXT merely requires the unconverted .txt on the SD card. 3) its best point - the keyboard-upload thing - is dependent on your system being configured for a US Keyboard, otherwise you get messed-up special characters. It's not exactly hard to add a US keyboard to a Windows system and switch between them at will, but it does cause an annoying icon to be present on the taskbar. Aaanyway... many thanks for the software selection! I've been looking for the one that got posted on flickr (might be the very same) for a long time but had just about given up by now. This should be very useful. I'm just sorry my Dana doesn't have the wifi module - it'd be nice to IRC on it (or open the Hackaday Retro page). You can install CardTXT directly off an SD card using a utility called MyInstall -- there's actually no need to use PalmSync. You can leave it sitting there in case your battery fails, and just run the install each time. Which is just as well, since I have no intention of wading into a virtual environment just to run it. I'm vacillating between CardTXT and AlphaWord. For me, the font selection in CartTXT is the limiting factor. I can just tolerate the second of the three font options in CardTXT, but there's no option to make it bigger, and I'm finding it a bit of a squint. Fortunately, cut and paste from AlphaWord to CardTXT works fine, so I can still save as .txt files to the SD card (the whole uploading-by-autotyping thing seems a bit bizarre to me). I agree that as a word processor it's pretty rubbish, but I don't edit on it - I do my best to ignore typos, and if something more complicated needs to be done I just drop a couple of asterisks there and fix it on the real computer later. I didn't know about the US-English keyboard thing; as you say, it's not as irritating as installing Palm Desktop or something on a computer, but changing keymap isn't plug-and-go convenience, either. And yes, it'd be a fun IRC client as well, though I'm not sure I wouldn't prefer an Apple II or Commodore 64 as a Web viewer :-). 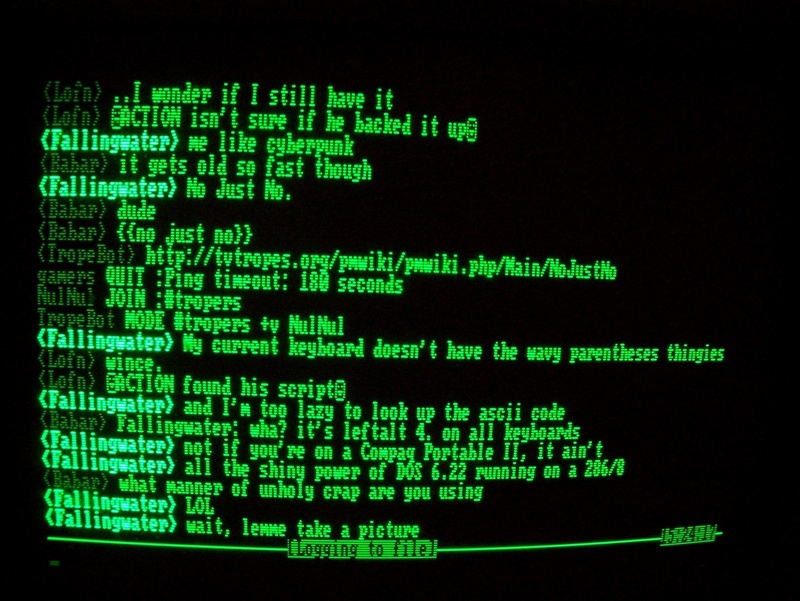 #tropers on my Compaq Portable II... I've tried getting it to show web-related stuff, but every antique browser I've tried has refused to boot. All these cool little gadgets are really eating into the cash I'm trying to set aside for my PDP8-i! Ooh, ooh! Now do the Atari Portfolio.